Louis Vuitton’s finest pieces are displayed by supermodel Freja Beha Erichsen in photographer Craig McDean’s “Fade to Black” spread for the December/January 2013/14 issue of Interview Magazine. One of Denmark’s finest contributions to the fashion industry, Miss Beha Erichsen is styled by Karl Templer in some extravagant items including bejeweled dresses and feathered headpieces that debuted on Marc Jacob’s final Spring/Summer 2014 collection for Louis Vuitton as the brand’s head designer. 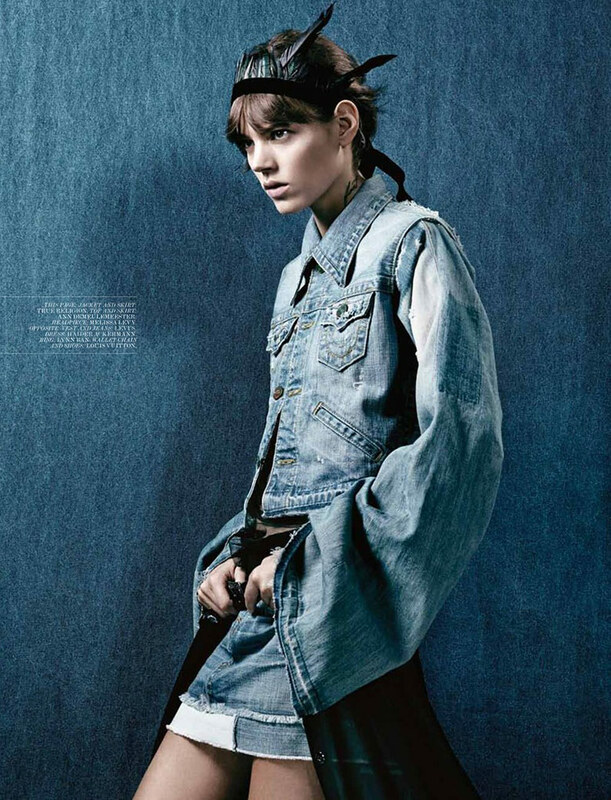 Freja’s charm and natural rock chic attitude is providing this spread with a hint of wildness, a feeling enhanced by her brown characteristic hair styled by Tomo Jidai. The make-up artist, Peter Philips has worked with two looks for Beha Erichsen, one fairly plain and the other being a painted face mask. To finish off the look is nail artist Gina Edwards who stuck with a simpler natural nail touch. Craig McDean’s choice of colors and black & white’s in this editorial almost feels a bit Scandinavian, adding the Danish beauty to the equation just enhances the Northern European vibe.